I usually don’t like to publicly criticize members of our security services because I feel and know that the they are ‘hugely’ under-resourced and often compelled to make do with the few logistics at their disposal. In fact, they virtually have to squeeze water of the stone in some communities just to maintain law and order or protect people. However, I also think that some of them go to the extreme to ‘weaponize’ their frustrations and unfairly subject some members of the public to unfair and unprofessional treatment, especially at a time the Force should be working more towards ‘neutralizing’ certain negative public perceptions and building bridges. Take for instance my experience when the Prince Wales, Prince Charles, visited a cocoa farm at Kona in the Sekyere South district of the Ashanti Region. A senior Police officer in his attempt to spell out the ground rules for the day, to particularly some of us members of the local press who could not court the attention of the British High Commission to deserve an accreditation for media coverage, used very hostile, harsh and repulsive language, which to me was flatly needless. You don’t say to a civilian (journalist) that “When you cross the line I will deal with you” just because the journalist wants to do his work the same way you are also trying to do your work. I don’t think that is the best ‘policing language.’ This attitude, is one of the many things, that has always exposed the Police Service when it comes to crowd control. Moreover, the Police brutalities of journalists are becoming far too many, in Ghana. 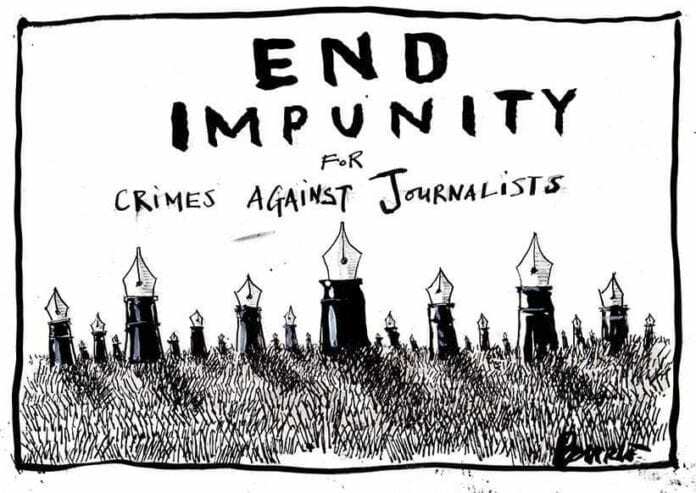 Sadly, Ghana is gaining notoriety for manhandling of journalists by security forces especially the Policemen. Just to recall a few the Latiff Idirusu of Multimedia’s case is still pending as well as many unreported cases. Take, for instance, how the Police handle protesters, in the country. Look at the Adenta incident. Ironically, these are happening not long after Ghana was recognized as the best country in Africa on the 2018 World Press Freedom Index, and 23rd in the world. The WPF measures the level of media freedom in 180 countries. This is not to say or suggest that journalists are above reproach or cannot be cautioned, in some instances. On the contrary, my concern has to do with the high-handedness and the brute approach towards journalists by the men in Force. Journalists on the other hand should also be cautious and not put themselves in the ‘line of fire’ of some of these men, who ‘deal with us’ should we misstep. Let me admit also that the Police Service is equally populated with very fine men and women whose human relations makes you question whether the negatives about them is made up. I’ve said mine, you can either say yours or join the crusade to ensure that we peaceful coexist with the Police or join the silent observers to encourage these brutalities.